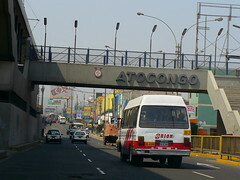 Chiclayo is a huge disorganised commercial city that sits on the Panamericana highway. 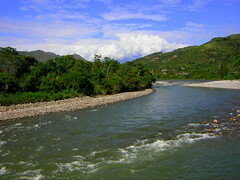 It has a population of over 650,000 in a green (by Peruvian coastal standards) agricultural area with easy access to the mountains. The name of the city probably comes from the Mochic language; Chiclayoc meaning “hanging greenery”. 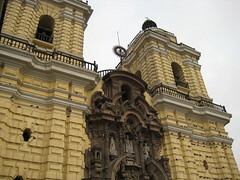 Chiclayo sits in the south of the department of Lambayeque and is now the capital. It wasn’t always that way though. The city started off as a rural settlement made for the indigenous by a Spanish priest in 1560, similar to those created around other Spanish cities, such as Trujillo. These villages were designed by the Spanish to wipe out the indigenous culture by forcing the people to live like the Spanish, albeit as working peasants. 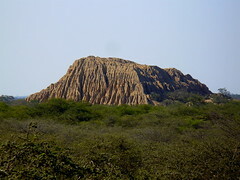 It remained a tiny town until a massive growth spurt in the past century where it outgrew neighbouring Spanish founded Lambayeque (the city rather than the region it once Governed by the same name). 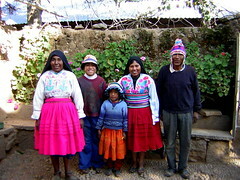 It is now Peru’s 4th largest city. The city is so intimidatingly disorganised and poor it’s difficult to get your bearings by exploring on foot. Thousands of people wander the streets begging strangers to give them money. 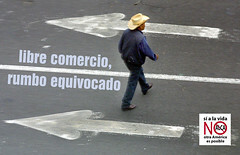 It is probably essential to first visit the iPeru office on Avenida Saenz Peña 838. Here in this calm environment staff will give you maps of the city, explain where to find buses to the various amazing sites that surround the city and tell you what price to pay for each trip. The city probably has three points of focus for the visitor. 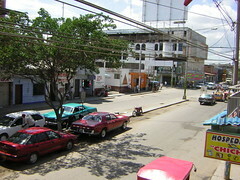 The central market, the plaza principal and the EPSEL bus station. This central market, five blocks north along Balta from the plaza, is a maze of what is probably thousands of stalls selling each and every item you could possibly imagine. You could spend hours lost here looking at fruit stalls, chilli stalls, clothes stalls, metal item stalls, juice bars, pet stalls, everything. But more interestingly you’ll find people selling herbs, potions and whatever else is necessary for northern Peru’s famous shamanistic activities. The Plaza Principal is not the normal plaza that sits in the middle of the average South American city. It was only created recently in the city’s history. Small in size and in a city so disorganised, it doesn’t have much of a organising affect. It neatly splits the north and south of Avenida Balta though. Heading north from the plaza you find the market. Heading south about the same distance, passing the Jackie Chan chifa, continuing until you hit the gas station on the corner of Bolognesi, you reach the major bus stations (Left, Cruz del Sur, Right Linea and Emtrafesa). On the Plaza you also find some bland and uninteresting architecture, a little over 100 years old. Out in the north west of the city is the Epsel bus station. It is here you will take the bus to everywhere except Lambayeque and Túcume. In a run down part of town, some distance from the centre, you’ll need to pay your 3 soles for a taxi there and back. Before the tiring journey out to the ruins, or once you arrive back, you might want grab a bite to eat in the excellent restaurant Punta Negra, one or two blocks and around the corner from the station. All buses pass it… look out of the left side windows after you leave the station, or out of the right side windows when you are returning. Or just ask in the station. Here you’ll eat very well for 5-8 soles.